Before a rundown of the Boston Massacre facts, we will like to say something. Boston Massacre is one of the many events that is a screaming testament of the atrocities of the darkest empire of the colonial era – the British Empire. From India to America to Africa – the British Empire looted, plundered, extorted the nations to build a wealth that they so proudly call theirs. Irony! The Brits are a perfect example of ‘rugs-to-riches’ but at the cost of destroying every other country, every other economy that they set foot on. Anyway, the Boston Massacre was an event that took place during the American Revolutionary War, which is also known by the name, American War of Independence. In this article on Boston Massacre facts, we will learn about the event in as much details as possible while keeping it as simple as possible. 1. Boston Massacre is also known by the name “Incident on King Street”. This alternate name is more popular among the British people. 2. The event took place exactly on March 5, 1770. 3. The massacre took place at Boston, which at that point in time, was the capital of the Province of Massachusetts. 4. Multiple people were killed by the British soldiers on that day. The shot people dead because a mob harassed a sentry. 5. The firing by British soldiers was not authorized and it claimed the lives of 5 people while injuring 6 other people. 6. In those days, Boston was pretty important for the British colonial rulers. It was a very important town in terms of shipping. 7. Boston also came to prominence because it became the hotbed of all resistance against the infamous taxation acts introduced in the 1760s by the British Parliament. 8. Precisely in 1768, the Townshend Acts were implemented by the British Parliament upon the Thirteen Colonies that were ruled by the British. 9. Once the Townshend Acts were implemented, the British started putting tariffs on several very common items that the British used to manufacture and then import them into the colonies. 11. King George III received a petition letter from the Massachusetts House of Representatives after the enactment of the Townshend Revenue Acts. 12. In the petition, the Massachusetts House of Representatives asked the King to revoke the acts. 13. In addition to the petition, the Massachusetts House of Representatives also circulated what is known as the Massachusetts Circular Letter to the remaining of the colonial assemblies. 14. The Massachusetts Circular Letter was an invitation to the remaining colonies to join the resistance movement against the Townshend Acts. 15. Through the Massachusetts Circular Letter, the Massachusetts House of Representatives also openly called for a boycott of those merchants who were engaged in importing the goods that were affected by the Townshend Acts. 16. Whatever the Massachusetts House of Representatives was doing because a matter of concern for Lord Hillsborough. Hillsborough was the Colonial Secretary (a newly created office). 17. Alarmed and worried, Hillsborough wrote a letter to America’s colonial governors. He gave an instruction to Francis Bernard (a British colonial administrator who was the governor of the Massachusetts Bay and New Jersey). 18. Francis Bernard was instructed to ask the Massachusetts House of Representative to stop all that they were doing. Unfortunately, the House of Representatives did not agree. 19. In response, HMS Romney – a 50-gun warship reached the Boston harbor in May 1768. 20. On 10th June 1768, custom officials seized a sloop (a sailing boat) by the name Liberty. It was owned by a Boston merchant by the name John Hancock. 21. The British customs officials seized Liberty on the grounds that it was smuggling goods. 22. In addition to this, the captain of the HMS Romney was forcefully taking local sailors into naval force (colloquially known as impressing). 23. People of Boston were not at all happy about impressing and the seize of Liberty was a tipping point. People started rioting. 24. As the riots started, the customs officials ran away seeking protection at Castle William. 25. Because the situation was really unstable in Massachusetts, General Thomas Gage (North America’s Commander-in-Chief) was ordered by Lord Hillsborough to bring in as many soldiers in Boston as he deemed necessary. 26. General Thomas Gage sent over 4 British Army regiments to Boston, of which the first regiment landed at Boston on 1st October, 1768. 27. Though all four regiments came in, two out of those four regiments were eventually removed from the town by 1769. 28. The remaining two regiments – the 14th Regiment and the 29th Regiment stayed at Boston. Both of them were ‘Regiments of Foot’. Basically, they were foot soldiers. 29. Because the rioting had already started prior to the arrival of the British soldiers, there were frequent clashes between soldiers and civilians of Boston. 30. All the clashes between the soldiers and the civilians were chronicled by the “Journal of Occurrences”, which was nothing but a series of newspaper articles published anonymously. 31. Journal of Occurrences aimed at chronicling the clashes between British soldiers and Bostonians but in doing so, the reports were often exaggerated. 32. These exaggerated reports led to further tensions. Unfortunately, the tensions between the civilians and the soldiers increased significantly after the death of Christopher Seider. 33. Seider was a Bostonian – a boy of age 11. On February 22, 1770, a British customs employee killed Seider. 34. Death of Seider amped up the tensions between the armed forces of Britain and the civilians of Boston. Seider received the largest funeral in Boston at that time and the whole event was covered in Boston Gazette. 35. It did not end with Seider’s funeral. Media coverage continued and kept the tensions alive. Colonists started harassing soldiers and the soldiers in turn started looking for confrontation. 36. A British soldier named Private Hugh White was standing in front of Boston Custom House on the evening of March 5. Did you know that Boston Custom House is located at State Street, which was previously known as King Street? 37. A young man named Edward Garrick (who was an apprentice of a wig maker) showed up in front of the Boston Custom House and called out to Captain-Lieutenant John Goldfinch. 38. Edward Garrick shouted and said that Goldfinch did not settle a bill from Garrick’s master. The truth was that Goldfinch did settle the bill a day earlier. 39. Goldfinch did not pay attention to the rants of Garrick. This is when Private Hugh White shouted at Garrick and asked him to be more respectful towards the officers. 40. A verbal spat and insults’ exchange took place between Edward Garrick and Private Hugh White. 41. As the verbal spat between White and Garrick continued, Garrick started poking Private White’s chest with his finger. 42. Private Hugh White responded by relinquishing his post and striking Edward Garrick on the side of the head. White used his musket to hit Garrick. 43. Once Garrick was hit, he cried out in pain. A companion of Garrick by the name of Bartholomew Broaders started arguing with Private Hugh White. 44. This incident had by now attracted a crowd. One boy named Henry Knox (who was only 19 years old at that point in time and a bookseller by profession) walked up to the scene and gave Private White a warning. 45. Henry Knox who later became a general in the American Revolutionary War, actually said to Private White that if White fired then he should die for it. 46. As the evening started progressing, the crowd started increasing. Someone rang the Church bells. Because the bells indicated fire, many people came out. 47. Nearly 50 civilians were pressing up upon Private Hugh White, who had by then, taken a safer position on the steps of Boston Custom House. 48. Among the crowd was a man named Crispus Attucks. He was a mixed-race man and was a former slave. 49. Attucks started throwing several objects at Private White and challenged him into opening fire. 50. The aggressive crowd forced Private Hugh White to call out for some assistance. 51. Captain Thomas Preston, who was the officer of the watch, was informed about the whole incidence by runners. 52. Upon hearing the news, Preston immediately dispatched 6 privates from the Regiment of Foot along with a non-commissioned officer. 53. These soldiers were carrying muskets with fixed bayonets. They were ordered by Preston to relieve Private Hugh. 54. Captain Preston himself went along with the 6 privates and the non-commissioned officer. These 8 people pushed through the crowd to reach Private Hugh White. 55. When they were moving towards Private White, Henry Knox warned Preston by saying ‘if you fire, you die’. To this warning, Preston responded by saying ‘I am aware of it’. 56. Once Preston and his men reached to Private Hugh, the soldiers took a defensive position and stood in a semi-circular position. They loaded their muskets and pointed towards the crowd. 57. At that point, Preston shouted at the crowd and asked it to disperse. The estimated number of people in the crowd were 300 to 400. 58. The crowd did not listen to Preston and continued pressing while still throwing small objects and snowballs at the soldiers. 59. One of the objects thrown by the crowd managed to hit Private Hugh Montgomery (one of the six privates who came to rescue Private Hugh). The thrown object managed to knock down Private Montgomery and he dropped his musket. 60. Private Montgomery quickly recovered, gathered his weapon and shouted in rage, ‘Damn you, fire!’ and fired into the crowd. 61. After Private Montgomery fired the shot, there was a silence of around few seconds to two minutes. The soldiers then opened fire at the crowd. 62. Captain Preston did not give any order to fire but the soldiers fired anyway. 11 people in the crowd were hit by the shots. 63. Three people in the crowd died instantly. They were Crispus Attucks, James Caldwell (a mariner) and Samuel Gray (a rope maker). 64. Another person named Samuel Maverick was hit by a rebounding musket ball on his back. He died next morning. 65. Two weeks later, another person named Patrick Carr also died of the injuries he sustained during the shooting. The fifth person who died was Christopher Monk. He was seriously wounded and crippled during the shooting. He eventually died in 1780. 66. The soldier who killed Crispus Attucks was Private Montgomery. Private Kilroy was the soldier who shot and killed Samuel Gray. 67. It is interesting to note that on March 4, 1770 (the day before the Boston Massacre), the Bostonians and the British troops clashed at John Gray’s Ropewalk located in Fort Hill District. 68. It was during that clash on March 4, Private Kilroy and Samuel Gray had an argument. 69. After the massacre when all the soldiers involved were arrested, Private Kilroy was convicted of manslaughter. 70. Though all soldiers (along with Preston) were arrested the next morning, all of them pleaded not-guilty. 71. The then acting governor – William Hutchison started an investigation of the Boston Massacre and sent a report to London. 72. While Hutchison carried out his own investigation, a town meeting was held at Boston’s Faneuil Hall. The Bostonians created their own committee to investigate the matter. 73. The Bostonians’ committee was chaired by Samuel Adams. The committee investigated and demanded the removal of troops from Boston. 74. The British administrators had to eventually remove the troops (under duress) to Castle William – an old fort at Boston Harbor. 75. Samuel Adams went on to coin the term ‘Boston Massacre’ for the event of March 5, 1770. 76. Captain Thomas Preston along with his 8 men (including Private White) were brought to trail on 27th November, 1770. Preston was tried separately from the rest of the soldiers. 77. The defenders for the trial were Josiah Quincy Jr. and John Adams. 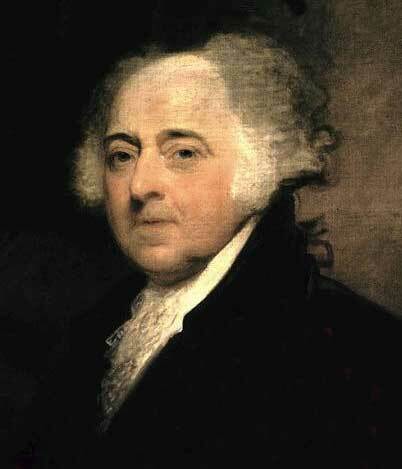 John Adams (who eventually became the second President of the United States of America) was the cousin of Samuel Adams – the chairman of the Bostonians’ committee. 78. The prosecutors for the trial were Samuel Quincy and Robert Treat Paine. 80. Captain Thomas Preston was given a clean cheat during the trial and he returned to England on 2nd December, 1770. He received a reward of £200 for all the hardships he endured during the Boston Massacre. 81. Among the 8 soldiers, 2 were found guilty of manslaughter. Those two were Private Hugh Montgomery and Private Matthew Kilroy. 82. On December 14, 1770 (9 days after the trial), Kilroy and Montgomery returned to court for sentencing. They were supposed to get a mandatory death penalty. 83. Both Montgomery and Kilroy entered a claim and their lives were spared after granting them the benefit of clergy. They were released but their thumbs were branded with the letter ‘M’ which signified manslaughter. 84. Weeks after the incidence, a propaganda battle started between the Loyalists and the Boston’s Patriots. 85. Both the Patriots and the Loyalists came up with pamphlets stating completely different stories. 86. The first three people to die during the Boston Massacre were buried on March 8 at the Granary Burying Ground. The fourth person to die was also buried alongside the first three on March 17. 87. The people who died during the Boston Massacre were hailed as heroes. 88. A whopping 12,000 people from Boston joined the funeral procession of the victims. The procession made a trip to the Liberty Tree. 89. During the investigation of the Boston Massacre, 4 civilians were also arrested but they were later found to be not guilty and hence, released. 90. There are two other names for the incident. They are: “State Street Massacre” and “The Bloody Massacre in King Street”. This concludes our Boston Massacre facts list. In case you think we have omitted any important point, feel free to drop in a message through our comments section. We will add it as soon as possible.